← The Masi Speciale Commuter… an elegant transportation alternative to your Gas Guzzler. 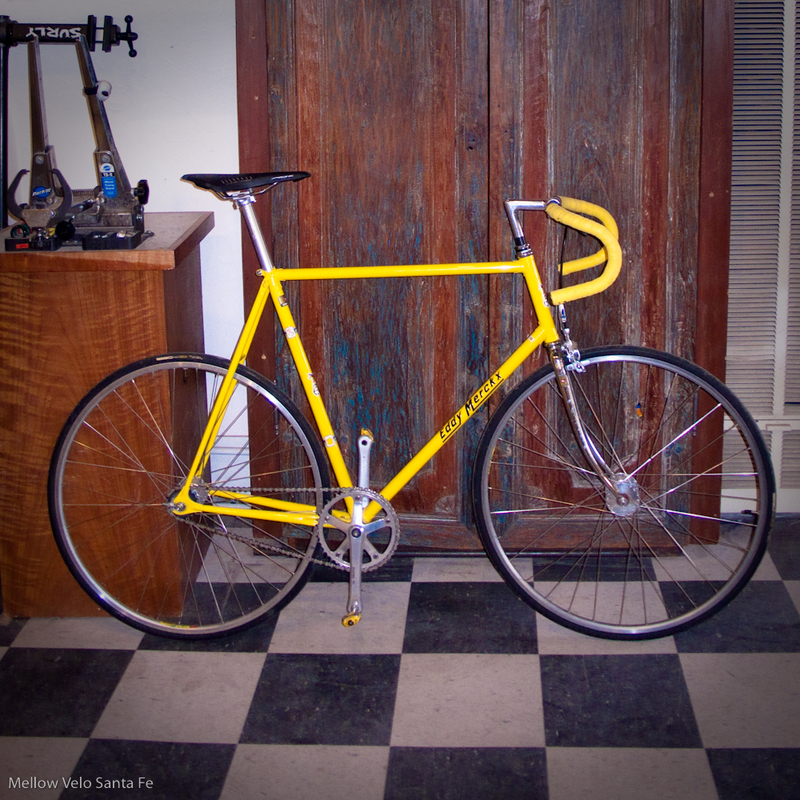 Stunning 60cm Eddy Merckx Track Bike, 70s vintage, Belgian made, JAUNE! What a stunning ride... we are proud to offer this beauty on consignment for $1200. 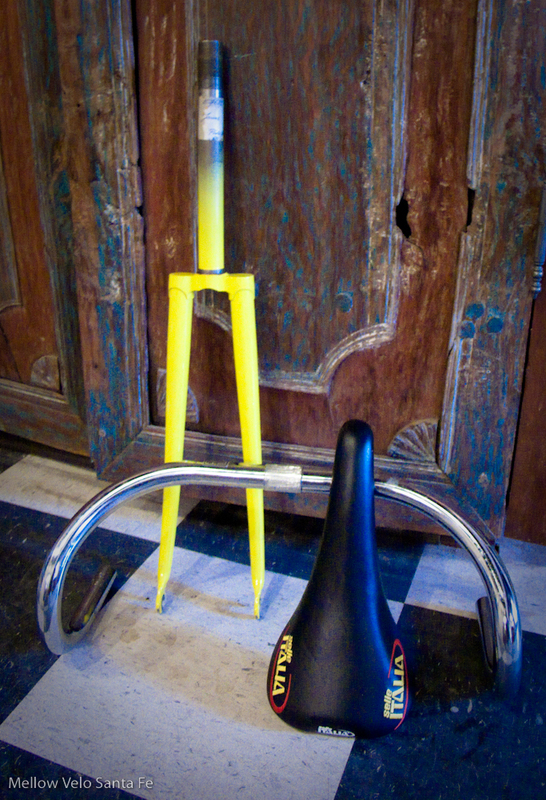 A rare find… this beautiful Frame and Fork were built in Eddy Merckx’s farmhouse in Meise, near Brussels, Belgium. 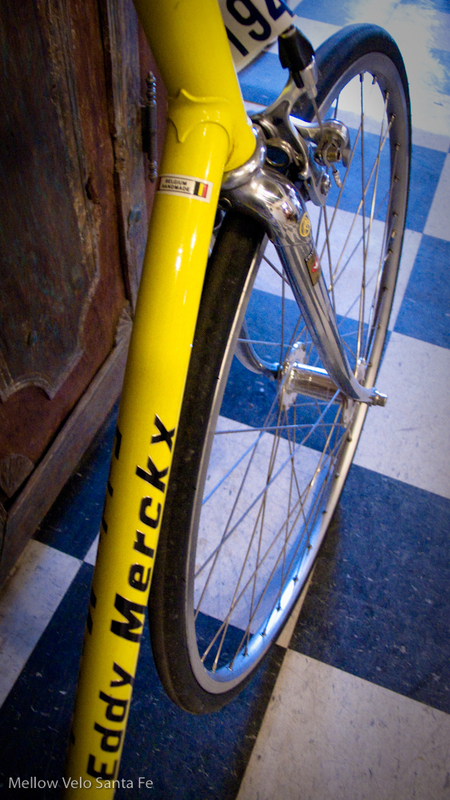 Check out the original Merckx font, Phil Wood Track Hubs, and spare fork with brake mount (for you commuters). 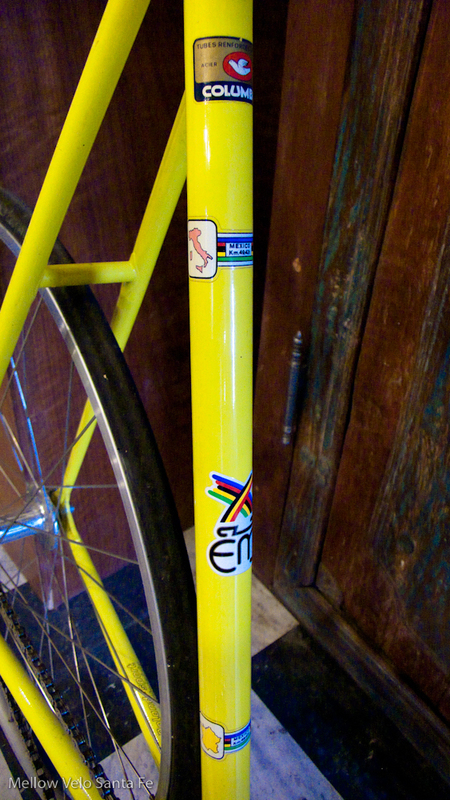 Labeled to commemorate Eddy’s Hour Record in Mexico City, this beautiful Frame and Fork were built in Eddy Merckx’s farmhouse in Meise, near Brussels, Belgium. You must see this in person to truly appreciate it! love the bike if you get one a couple of cm bigger let me know….